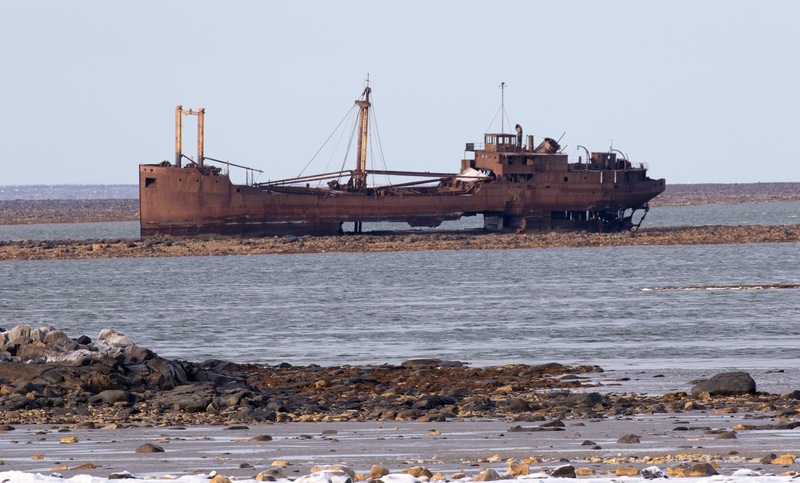 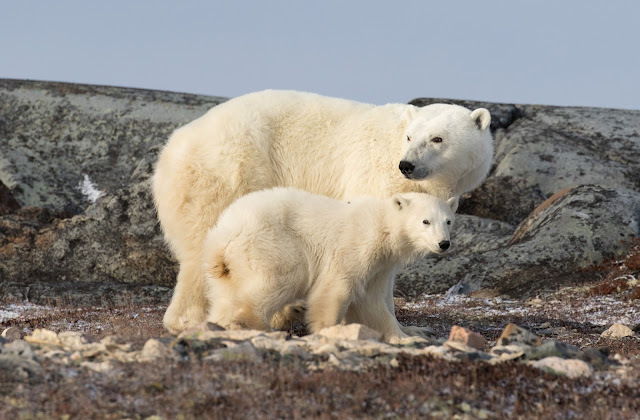 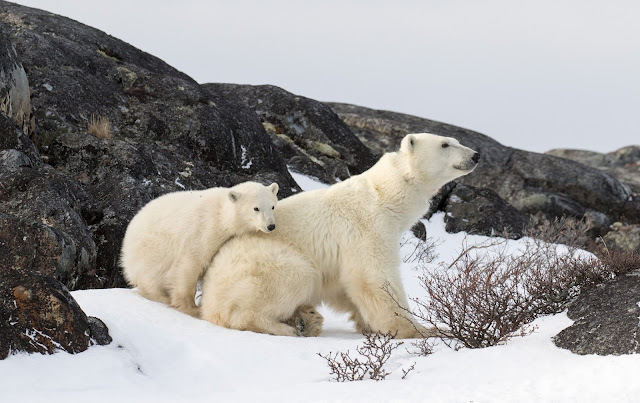 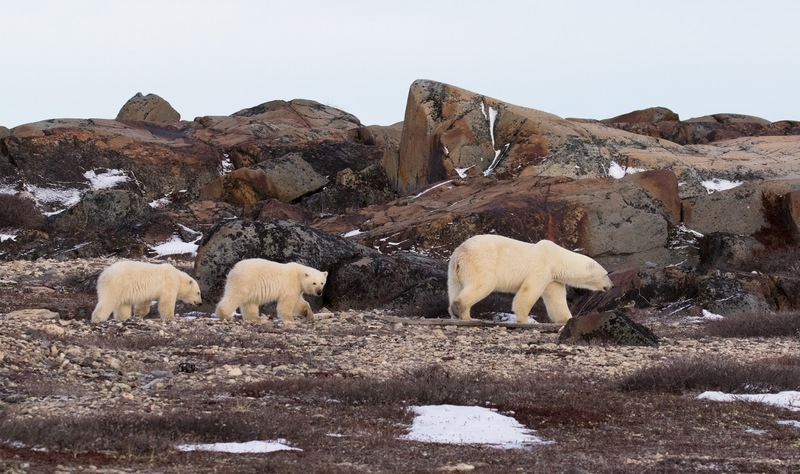 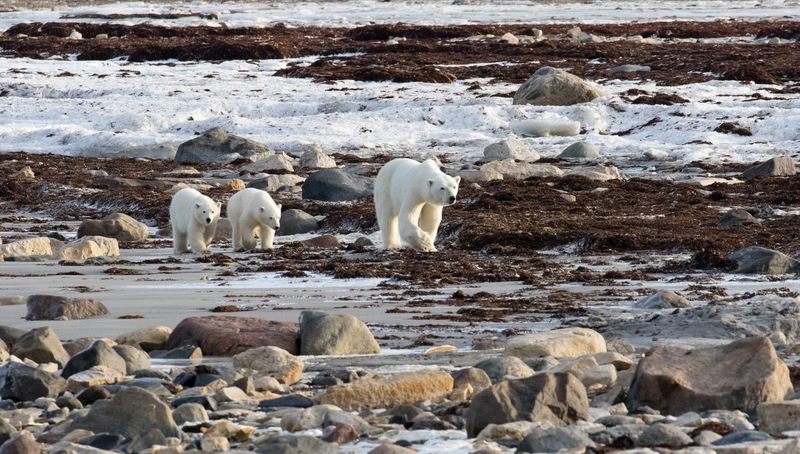 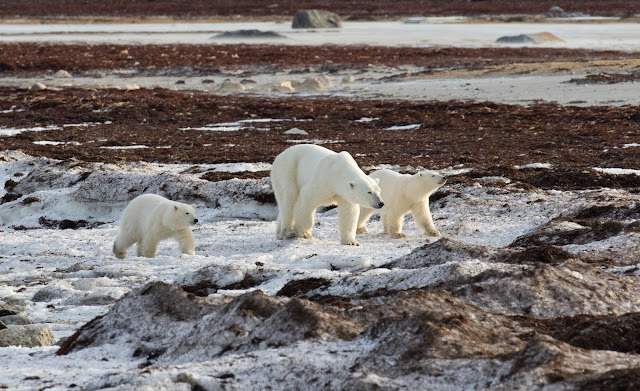 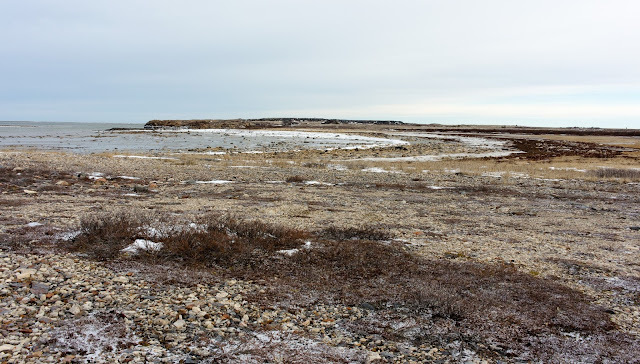 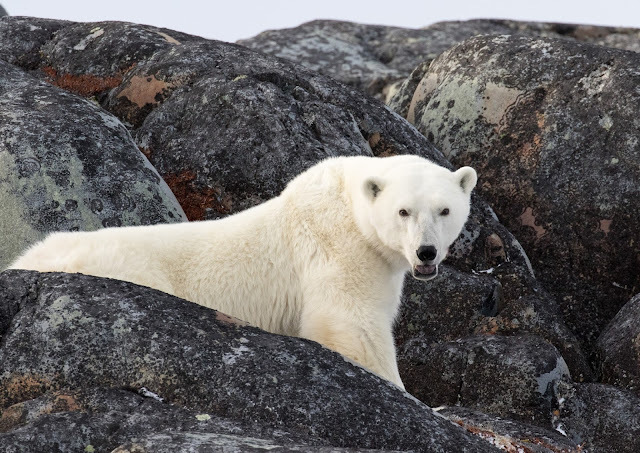 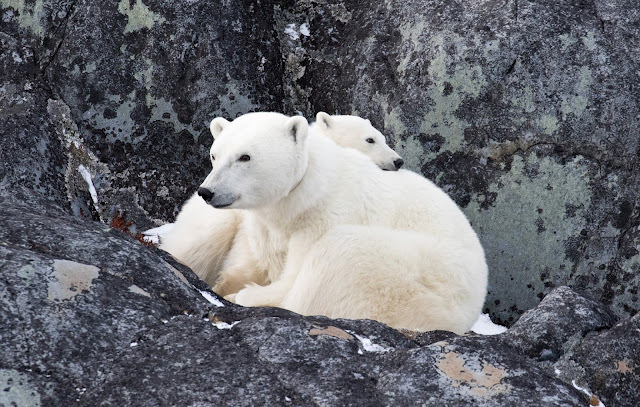 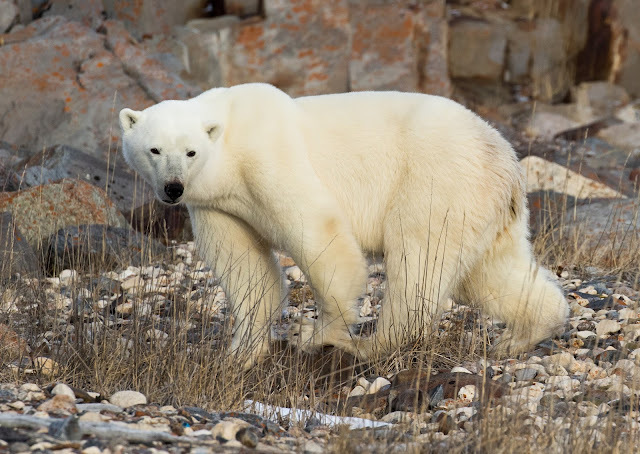 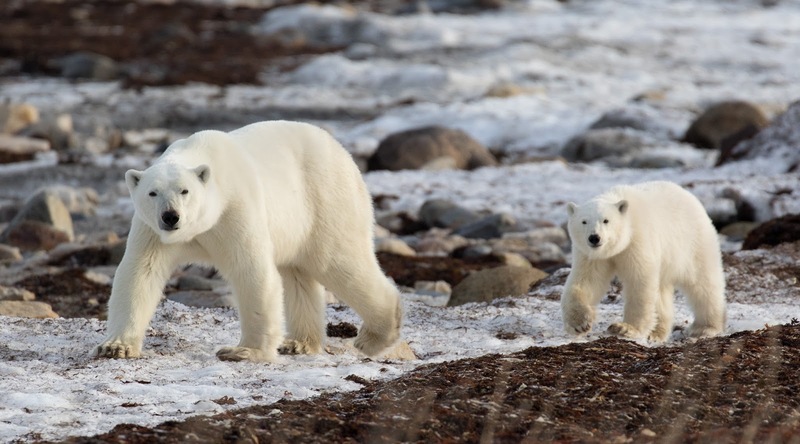 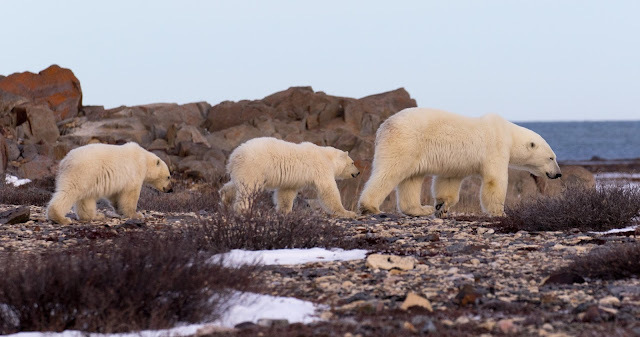 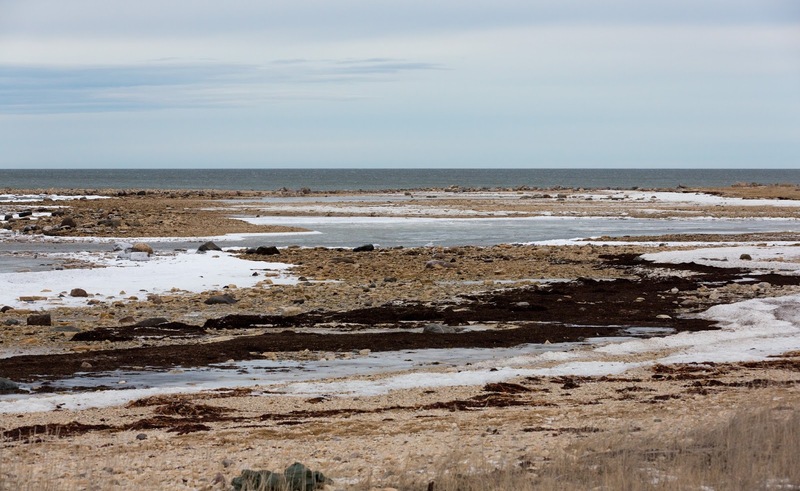 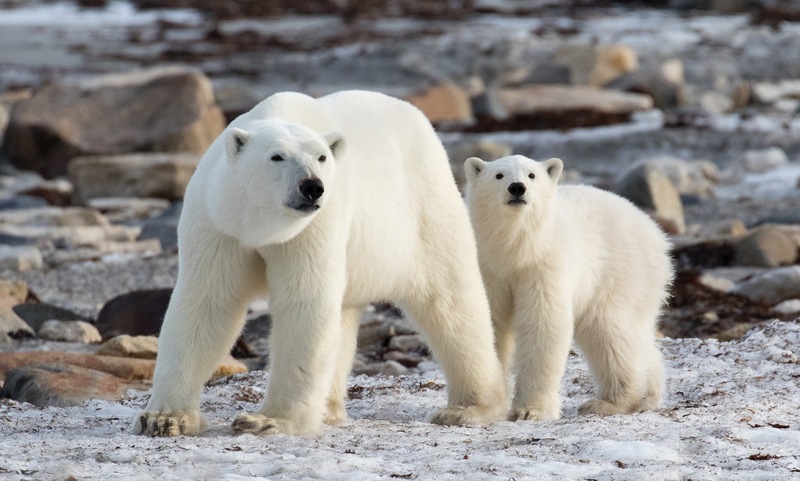 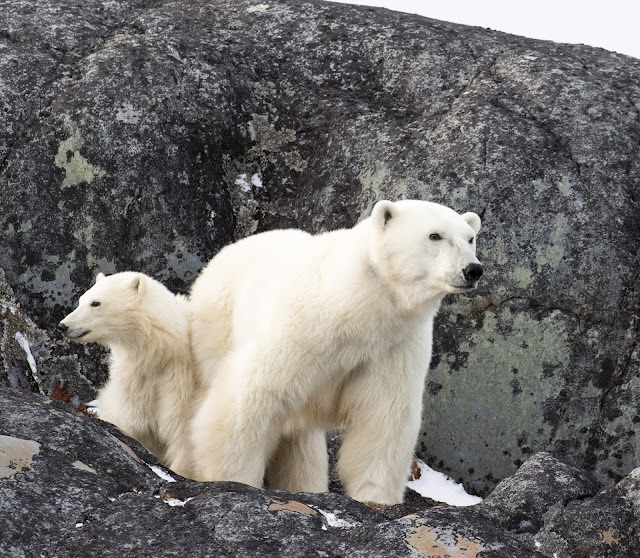 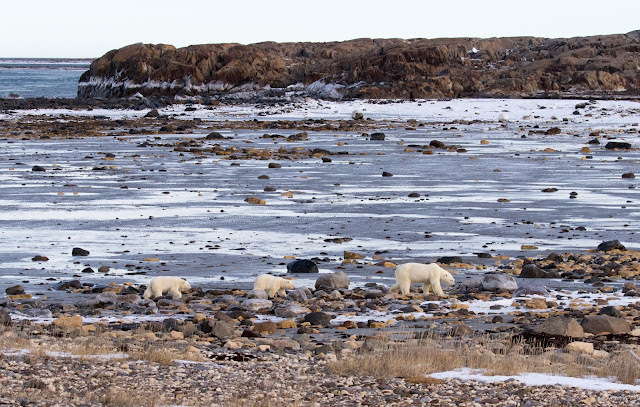 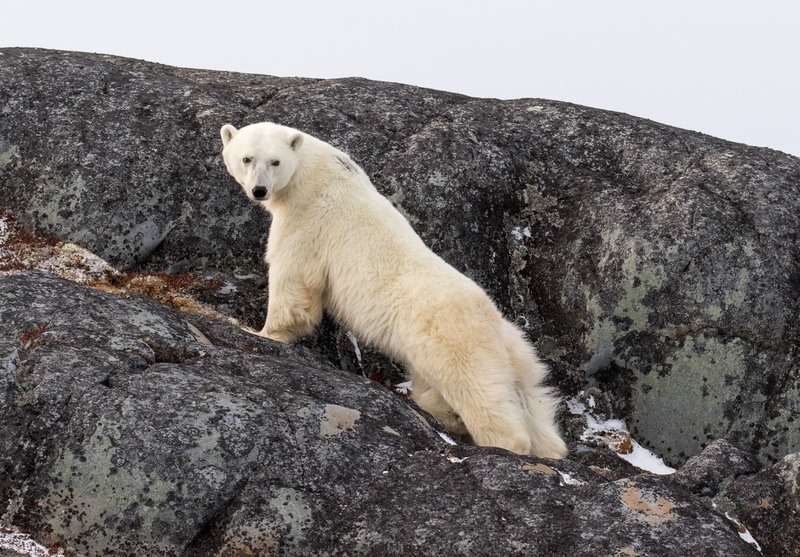 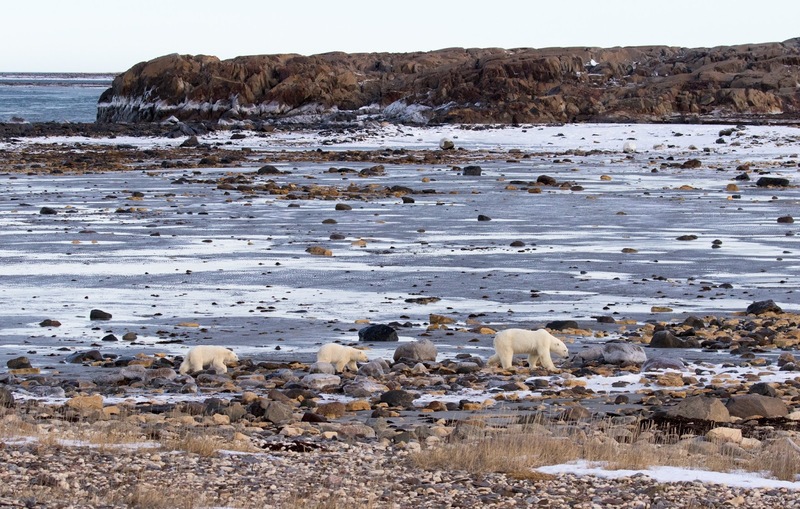 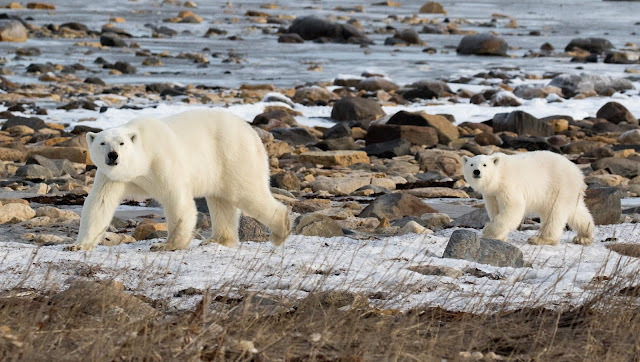 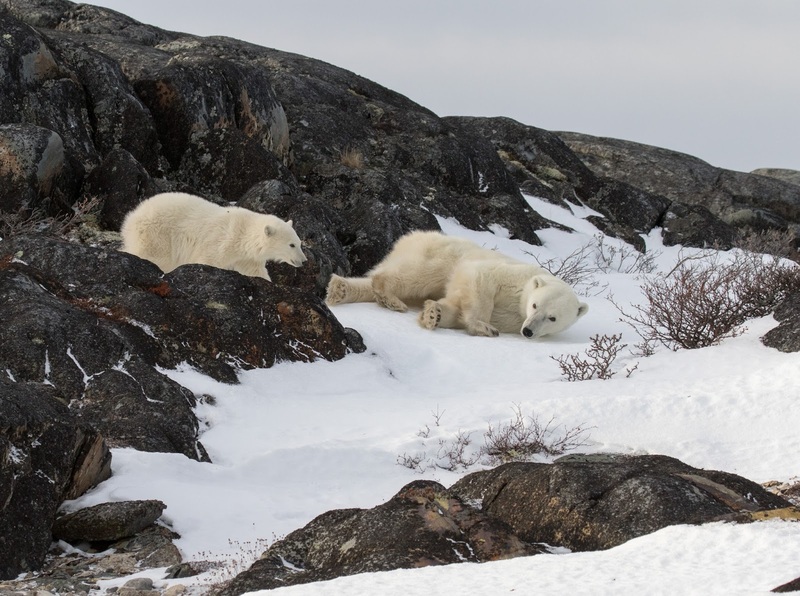 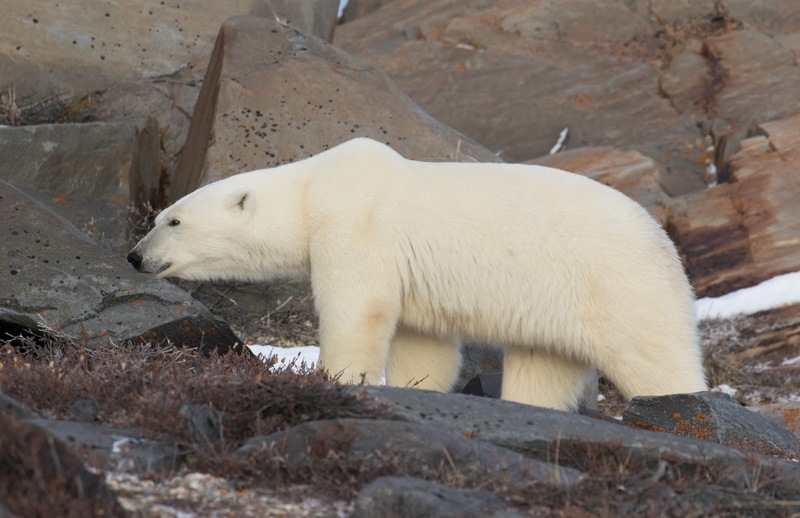 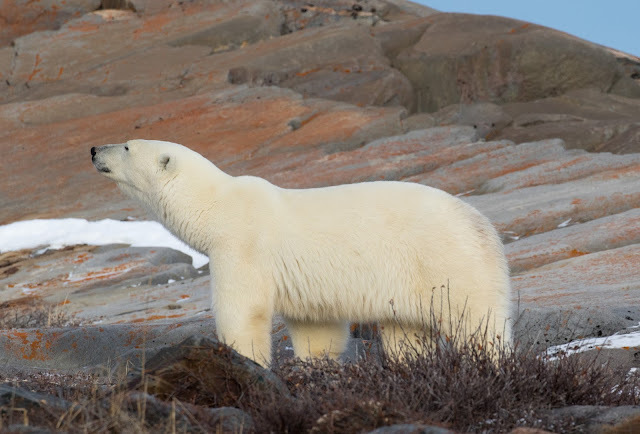 The mother and two cubs were sighted on the beach in Bird Cove, which is the area just to the west of 'buggy land' where the Tundra Buggy tours take place. The mother and single cub resting in the rocks were also photographed in this area. Bear activity during my visit had been rather variable day to day, and they were less frequently than reports from the previous week suggested, but I felt so privileged to observe family groups in relatively intimate circumstances.